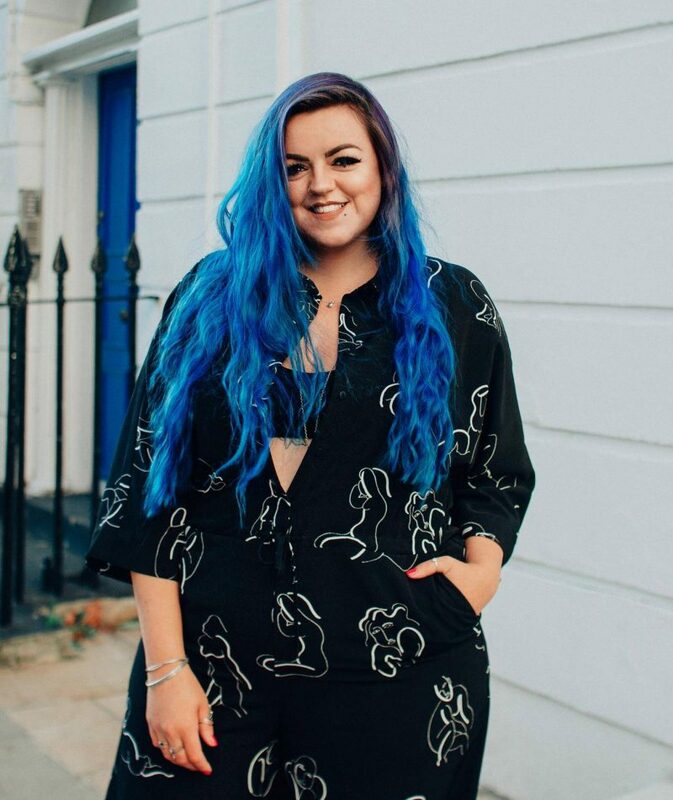 A short(er than usual) and very very sweet review for you today! 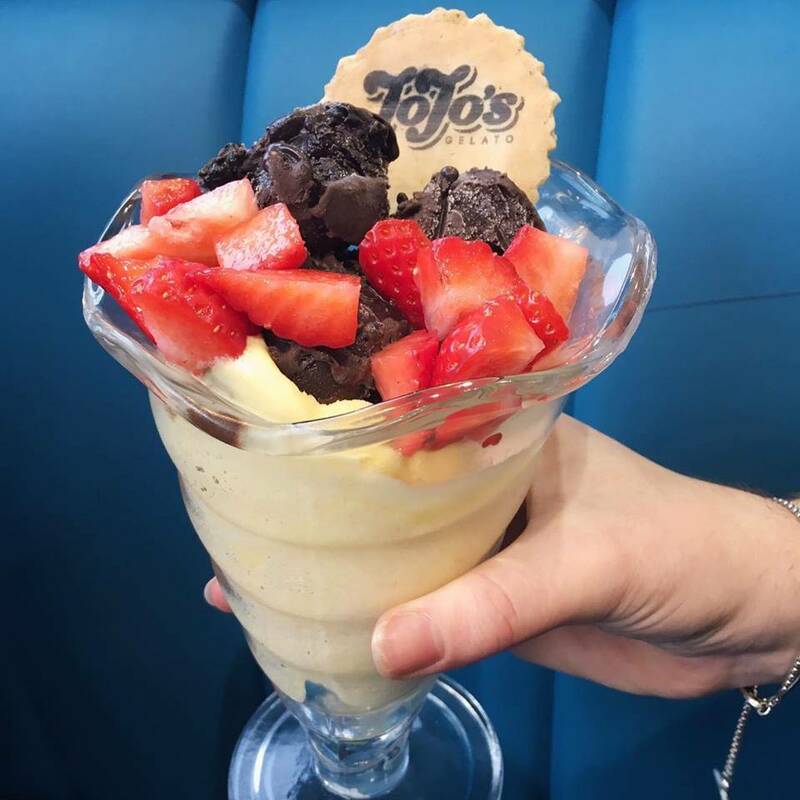 Okay… So, I’ve got a confession to make… After my wonderfully healthy and wholesome lunch at Iydea this weekend I went to catch up with some old school friends at an Ice Cream Parlour called Jojo’s Gelato in Brighton. 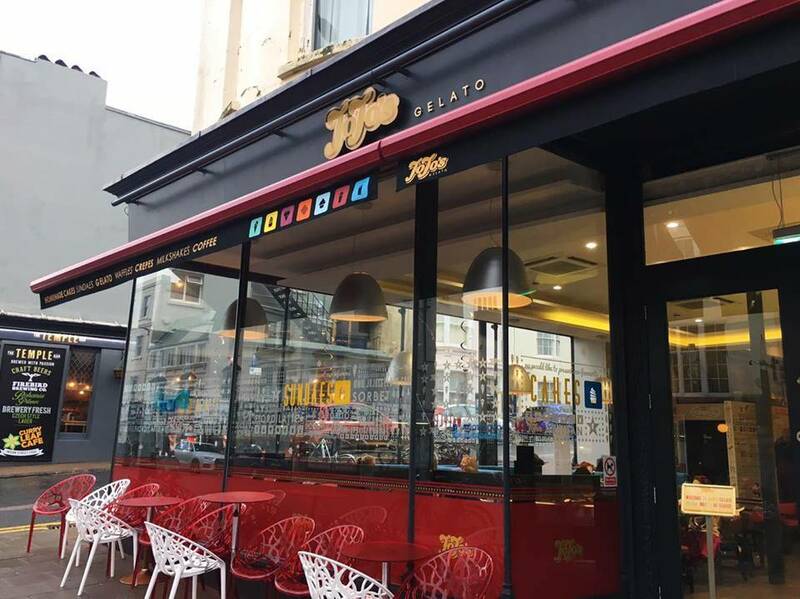 If you’re into ice cream(/all kinds of sweet desserts that have lots of sugar in) and like the ‘American Diner’ style then you might want to check this place out! 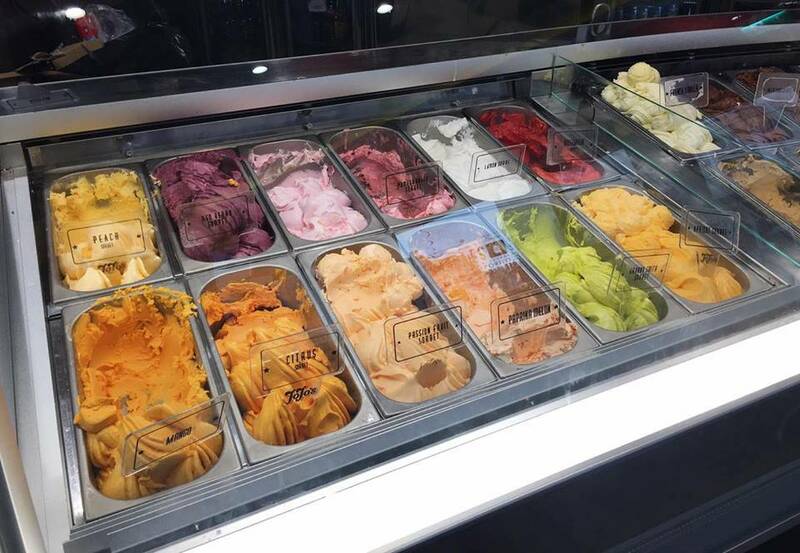 It’s colourful, the staff are friendly and welcoming and the place has an unbelievable selection of Artisan homemade ice cream and sorbets to choose from! As you probably know by now (because I think I might have mentioned it a couple of times) I am doing Veganuary and I hoped they might have a sorbet flavour or two that was Vegan for me to treat myself to a scoop of, however, I was incredibly mistaken… There were ten vegan sorbet flavours to choose from (TEN!) 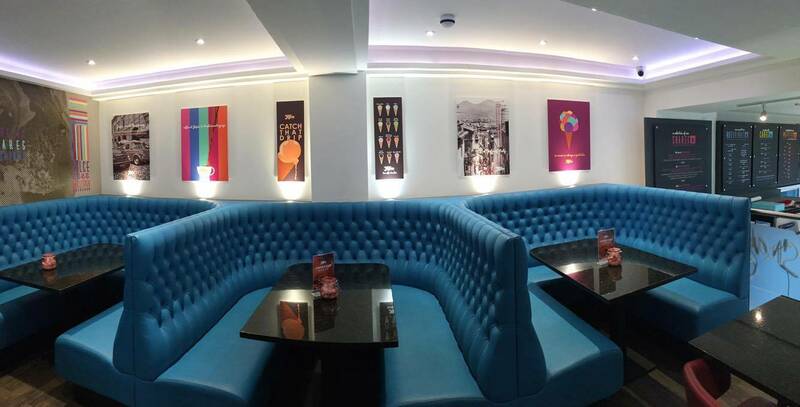 plus dark chocolate too… This is one of those awesome Ice Cream Parlours that lets you try any and every flavour you want to before committing to one (or two, or a few)! After sampling a couple of the sorbet flavours, I opted for peach sorbet scoop along with an incredibly indulgent scoop of the dark chocolate, with strawberries on top. I expected it to come in a little bowl (seeing as I ordered a “2 scoop” bowl for £3.79 + 49p for fresh strawberries) and was pretty blown away when I was greeted by this magnificent lookin’ thing! This glorious dessert cost me less than £4.30 in total, which I think is fairly reasonable as a treat. 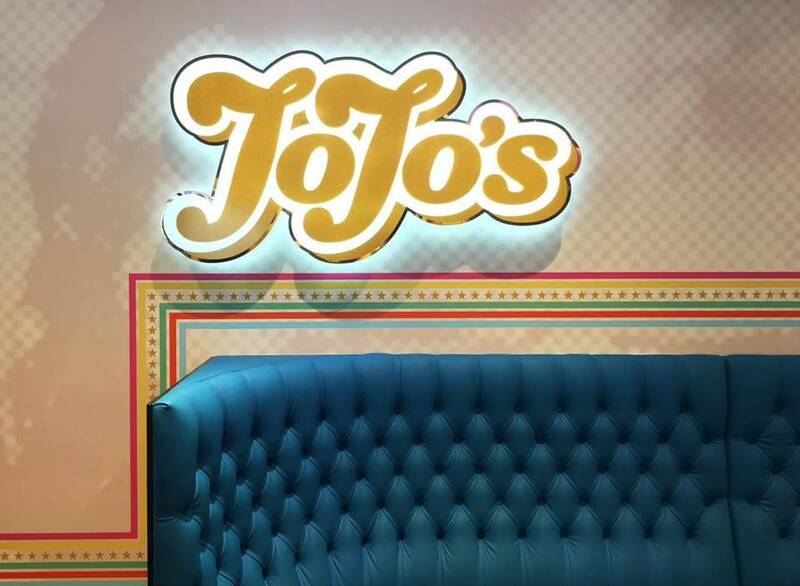 Jojo’s Gelato would make a super cute place to go for a date, to catch up with old friends (like I did) or take the kids as a special treat! 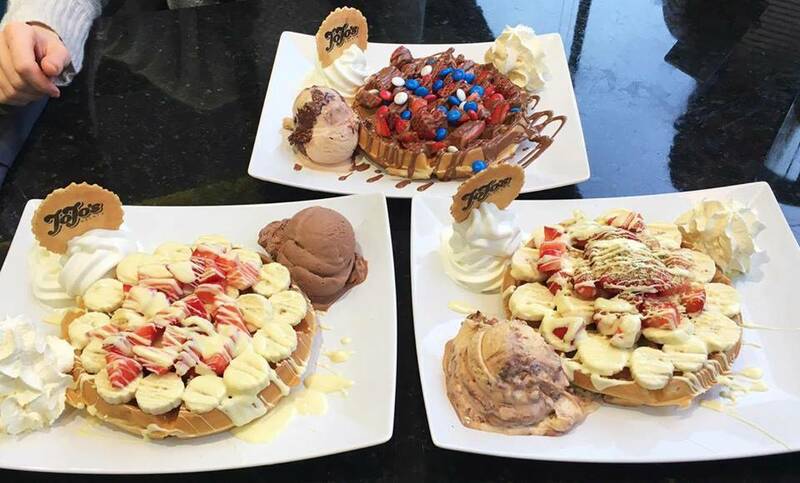 My (non Vegan) friends got these incredible looking waffles with ice cream, fruit and whipped cream! I struggled to finish mine after tge big meal at Iydea and couldn’t even consider looking at these dishes for too long, let alone eating them! Do you know of any great dessert places I should try out that have tasty Vegan options? Let me know in the comments below!